Big Time gaming just announced their Megaways™ mechanics has been licenced out to Red Tiger. 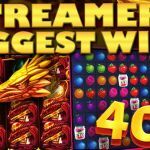 Two of our absolute favourite providers created history when Big Time Gaming licenced out their now widely known mechanic MegaWays™ to Red Tiger gaming. Now you know just as well as us, the games coming out of these houses are bold and beautiful, packed with innovative solutions. In short, Megaways is a reel modifier, randomizing the number of symbols that appear on the reels for every spin. 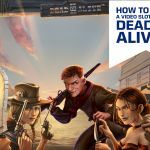 This means, the amount of “Ways to win” changes with every spin, giving some of the biggest potential winnings in the base game of a video slot across the industry. 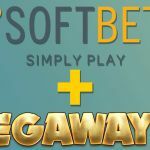 MegaWays ™ was first introduced in the video slot Dragon Born and has since then been used in several titles from Big Time Gaming, like the popular Bonanza slot, Donuts, and Extra Chilli. 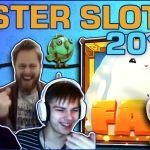 Just recently, UK based game and platform provider Storm Gaming acquired Megaways as well, creating a Megaway for BTG into both online casinos but also land-based slot machines around the British Islands and beyond. What games we will see from Storm adopting MegaWays™? Storm Gaming has confirmed they are going to add these to their licenced titles like I’m A Celebrity Get Me Out of Here, Tipping Point and The Chase. All of which are popular TV-shows in the UK. Red Tiger is all about player engagement and creating highly volatile video games that looks great! The other day we could read about the 8000x win on Laser Fruit for example. With that, we say “Huge Congrats” to Big Time Gaming for the hat-trick this year! What do you have in store for us next?